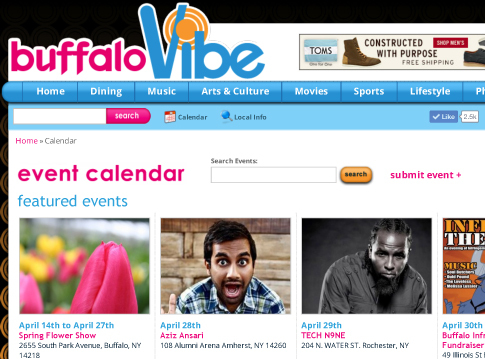 BuffaloVibe is an online lifestyle and entertainment magazine founded by producer Kevon Greenidge in 2010. The UHAA and BuffaloVibe collaborate to produce "UHAA! Festival", the annual signature summertime arts and cultural event for the University-North Buffalo area. BuffaloVibe promotes UHAA programs. UHAA writers contribute articles to BuffaloVibe about arts and cultural events of University-North Buffalo area.